The Pallet Shuttle AR Shuttle is a high-density compact storage solution that uses powered shuttles to automatically carry loads into the rack. The pallet shuttles are remotely controlled by an operator. Hence, there is an optimum use of storage space and workplace accident rates are also reduced. 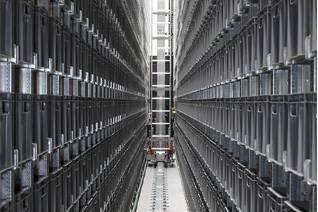 The use of automated shuttles in place of forklifts during the storage process not only reduces the risk of accidents, but also the maintenance costs resulting from damage of the rack. This system can work either as FIFO or as LIFO, even in freezer chambers, with temperatures of up to -30°C. This pallet shuttle system reinforces logistical capacity qualitatively and quantitatively, since it automates the handling of goods on pallets; it is also possible to control the inventory through a system of sensors which count the stored pallets. The pallet shuttle is a compact semi-automated pallet storage solution using self-powered shuttle carts which operate independently to move the pallets in the rack. 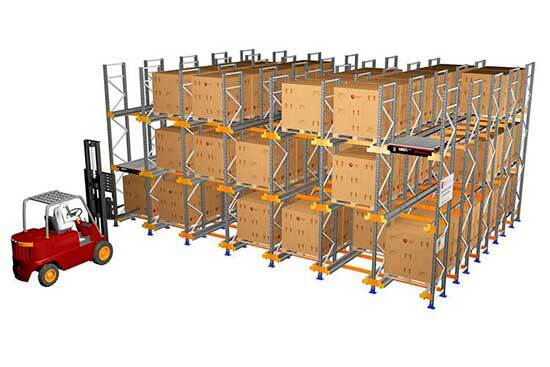 Designed for high-turnover storage, this solution enables automatically loading and retrieving pallets continuously by using a remote controlled system. 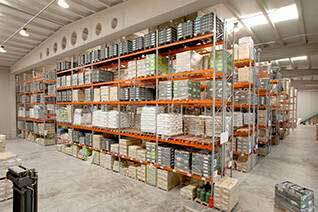 Unit loads are either placed on the first available location until the rack is fully loaded, or retrieved from their storage locations and moved to the front ready to be picked by a forklift truck, until the rack is fully unloaded. AR Shuttle is positioned in the lane required with a fark lift truck. The pallets are stocked one by one by the fark lift truck at the beginning of the lane. The pallet shuttle lifts up the platform and moves it along the channel until it reaches the first free position, where it puts the pallets. Then, it comes back to the beginning of the lane ready for the next drive cycle. Before putting the last pallets into the lane, AR Shuttle must be removed and put in a new lane. Each remote control unit can control up to 4 pallet shuttles. Onscreen messages far machine maintenance. This is the most common system, where the pallets are put in and taken off from the same side. The lanes should be completely emptied before putting in a new load. This system is ideal for buffering units or transit warehouses, where incoming and outgoing operations are performed from opposite sides. 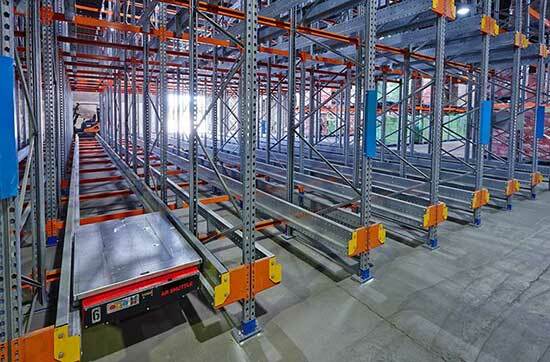 When the lane is not completely emptied, fast relocates the pallets by bringing them closer to the exit position, allowing new loads to be placed on the rack. Companies with few references and a large volume of pallets. Warehouses with high loading and unloading rates, mainly seasonal. 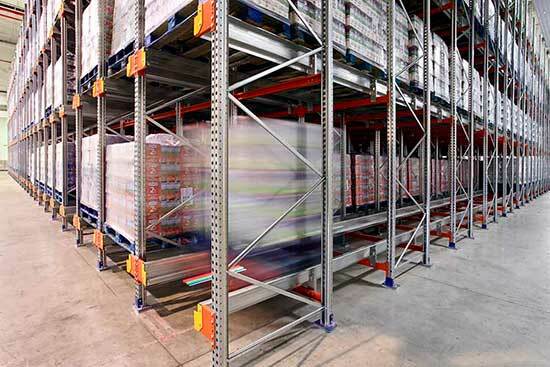 The Pallet Shuttle system enables you to maximize floor space and height available by minimizing the operating aisles needed for trucks. 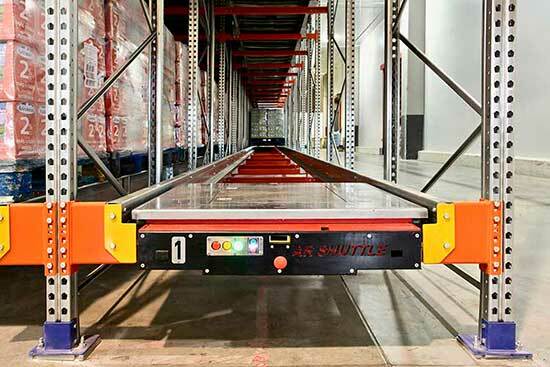 The AR Shuttle system allows for automatic control of inventory by using sensors to count the number of pallets stored. Remote control and bar codes help better control the stock, drastically decreasing error margins. 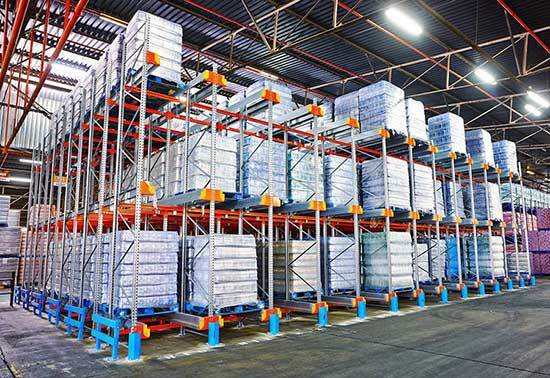 Since forklift operators do not have to enter the aisles, maximum safety is guaranteed when handling pallets, avoiding collisions in the rack structure. 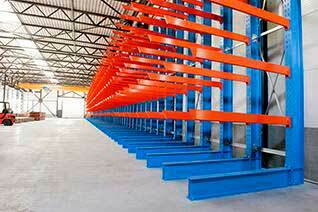 This reduces maintenance costs as well as the number of issues from handling loads. With the pallet shuttle system, stored pallets can be loaded and unloaded as FIFO or LIFO, even in freezing chambers up to -30ºC.